The UK yesterday signed a trade continuity agreement with a series of countries in the Caribbean, including Guyana. UK businesses and consumers will benefit from a trade continuity agreement maintaining current arrangements with countries in the Caribbean soon after Britain leaves the EU. Trade Policy Minister, George Hollingbery, signed the CARIFORUM-UK Economic Partnership Agreement (EPA) with ministers and representatives from Barbados, Belize, The Commonwealth of Dominica, Grenada, Guyana, Jamaica, Saint Christopher and Nevis, Saint Lucia, Saint Vincent and the Grenadines. The news has been welcomed by businesses and business groups including the West Indies Rum & Spirits Producers Association (WIRSPA), one of the oldest private sector trade associations in the Caribbean. WIRSPA represent some brands well known to UK consumers including El Dorado, Appleton, Angostura and Mount Gay Rum. The UK is an important export market for the Caribbean, and the UK bought 100% of Saint Lucia’s banana exports, as well as 69% of Belize’s banana exports in 2017. In addition, 81% of Guyana, and 64% Jamaican sugar cane exports went to the UK. In a statement yesterday, the UK government explained these preferential terms are part of its commitment to supporting developing countries to reduce poverty through trade. It will help them to grow their economies, create jobs, increase incomes and reduce reliance on overseas aid in the long-term. The rum industry is the region’s premier export industry and its largest export earner after minerals, as well as a significant employer. 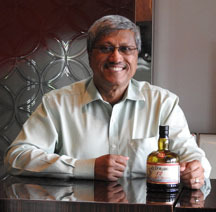 “The preferential provisions in the agreement will continue to give our authentic rum producers a much-needed boost vis-à-vis subsidised products from other countries,” Samaroo explained. In 2017, total trade between the UK and the region was worth around £2.5 billion. Replicating this deal will allow the UK to continue building the trading relationship with its Commonwealth partners. Based on current trade flows, exporters of bananas and other fruits and nuts could save over £14 million a year in tariff charges that could apply if the agreement wasn’t in place, while exporters of sugarcane and other sugar products could save more than £20 million. Consumers in the UK will continue to benefit from more choice and lower prices for products from these countries. The agreement also covers the services sector, including tourism, which will benefit Brits who spend £900 million a year during some 900,000 visits to the Caribbean. The UK has recently signed agreements with Switzerland and Israel. “Like all these agreements, the new CARIFORUM-UK EPA replicates the existing trading arrangements as far as possible. It is expected to come into effect as soon as the implementation period ends in January 2021, or from as soon as possible after the UK leaves the EU if we leave without a deal,” Minister for Trade Policy, George Hollingbery said. Hollingbery said it will help to support jobs in the UK and throughout the Caribbean, as well as ensuring that the British supermarkets shelves continue to be stocked with the best Caribbean produce such as bananas, sugar and rum.